Thoughts from Polly's Granddaughter: Bill John Baker - Leader or Misleader? Bill John Baker - Leader or Misleader? They say the cover up is always worse than the crime. According to Mickie Kennedy, founder of eReleases PR, "It’s one thing to be guilty of doing something wrong; it’s a completely other issue to be a deceiver, trying to hide the truth from the public." Perhaps Chief Bill John Baker, should have consulted Mr. Kennedy before making this speech to a group of Cherokee Nation At Large citizens in California, October 18, 2014. Baker was referring to Ross Wilson, a man whose home needed repairs and whose home was featured in the post, "Our Moral Test". Baker said the delay in getting Wilson help was because he fell through the cracks. Baker stated Wilson didn't qualify for various types of help and blamed it on the federal government saying they never thought about "these people." He emphasized Wilson couldn't get help because "he didn't own the land!" I've never been one to beat around the bush, so I won't start now. Baker's statements are not true and there is ample documentation to show it. Wilson's home was damaged January 5, 2014. He applied for help with repairs and WAS approved for Emergency Repair up to the amount of $5000. As you can see, there is no requirement to own the property, but instead, to be locked into a long term lease on said property. Per the requirements, Wilson got a long term lease, dated February 21, 2014, and filed it in Delaware County court. 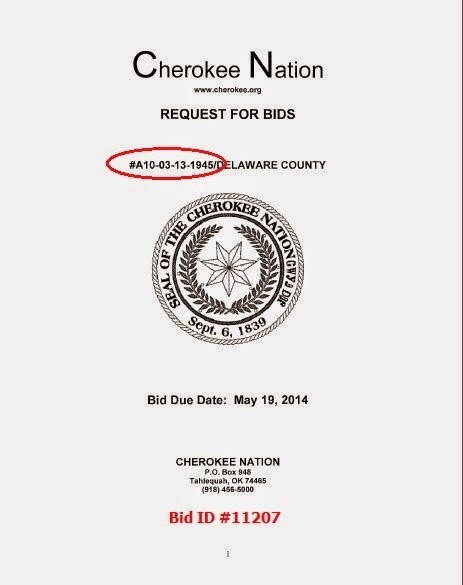 The lease includes the following statement, "Agrees that a copy of this lease will be kept on file with the Housing Rehab Program of the Cherokee Nation." In May, June, July and August, the Housing Rehab Program posted Request for Bid packets on a "NAHASDA Emergency of one home" for Wilson. 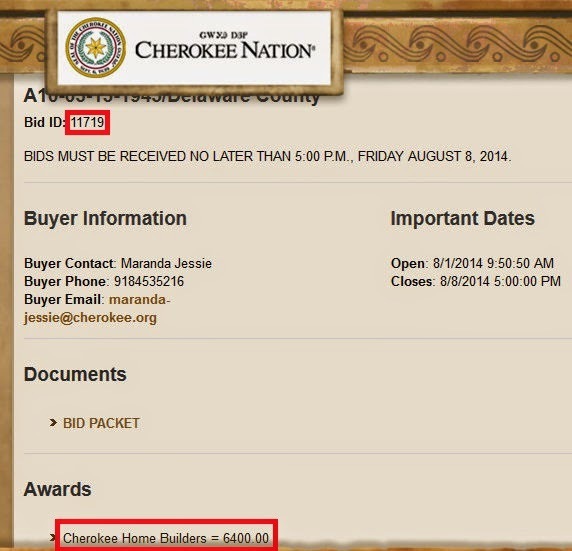 Sometime after August 8, 2014, a bid of $6400 was accepted from Cherokee Home Builders. 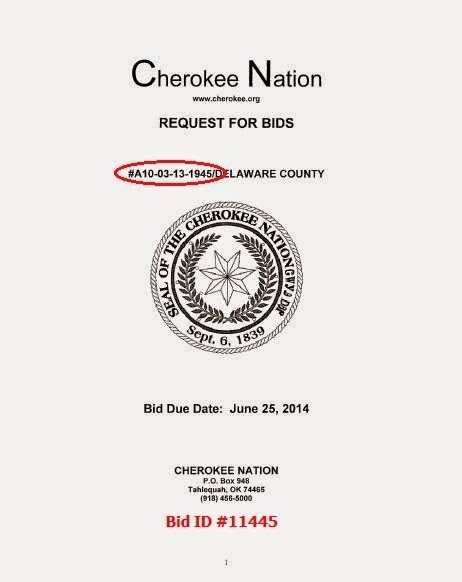 Clearly, Wilson qualified and was approved for help or there would have been no reason for him to file his lease with the Cherokee Nation Rehab Department or for that department to submit four different requests for bids and to eventually accept a bid for the work needed on his home. Now that you know Wilson DID qualify for help and WAS approved for help, watch the video again. Despite everything Baker says in that video, you've seen the documentation that shows Wilson was approved for help. The help simply didn't come. That is not the fault of Wilson, nor is it the fault of the federal government. Our Emergency and Rehab programs have problems, as discussed in the Cherokee Nation Community Services Committee Meeting on July 14, 2014. The delay in Wilson's home getting the needed repairs is not an isolated case. Chief Baker had the opportunity to admit we have problems but chose not to do so. 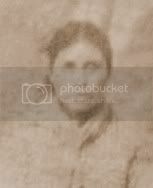 Instead he tried to deceive Cherokee citizens, voters, into believing he had to fight a bad system put in place by the federal government in order to get one of his people some help. It is simply not true. After hearing Baker's words and seeing the documentation above, what do you think? Is Baker a leader of our nation or his he a misleader of the people? Leave your thoughts in the comments section below. *Note: I'm aware there are other issues with Baker's words in the video. 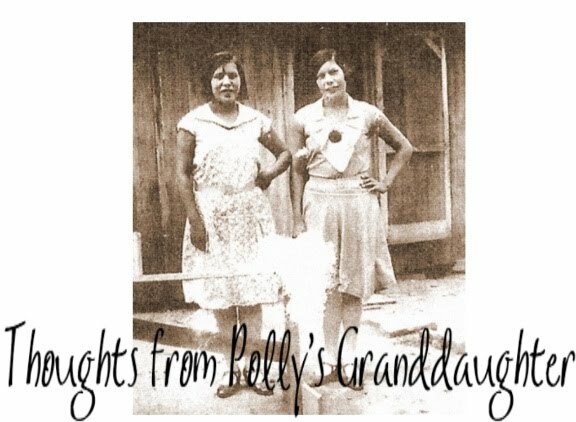 This is only the first in a series of posts that will reveal the details of what happened before, during and after Mr. Wilson received his new home, courtesy of the Cherokee Nation. While I am forever grateful that Mr. Wilson now has a home where he is warm and where he has running water, I feel the false information being passed along about his story needs to be addressed with factual information that can be supported with documentation. 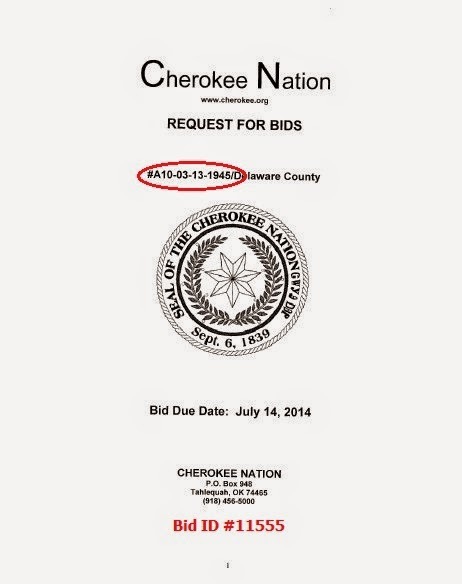 The Cherokee people deserve to know the truth. **Ross Wilson's identity had never been revealed in this blog until now. 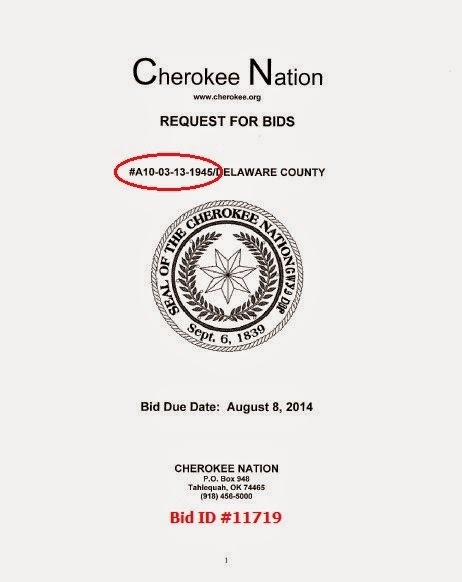 His name has only been released after receiving permission from him to do so and only after at least one Cherokee Nation employee has shared it on social media.